Deliveries are picked up twice daily from WMRL. One delivery goes east to Frederick and the second delivery goes west to Allegany and Garrett counties. 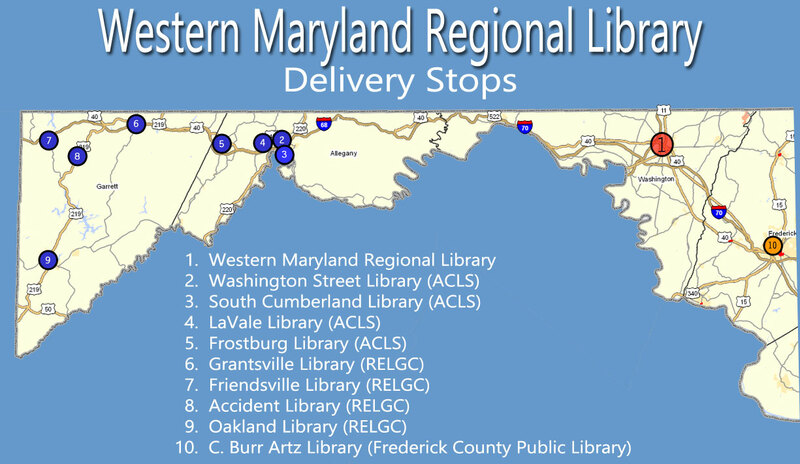 Provide Monday through Friday, next-day delivery of library materials picked up in Washington, Allegany and Garrett Counties, with the exception of holidays when the libraries are closed and/or inclement weather. Library Delivery Driver is responsible for locating and scheduling substitutes in order to maintain the continuity of the delivery route.